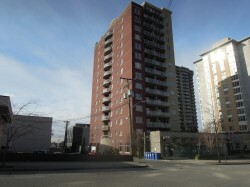 Chelsea North is an affordable rental housing development for low-income seniors and persons with disabilities at 121 West 15 St. in North Vancouver. The New Chelsea Society was selected as the non-profit operator for the complex in June 2011. Situated in the heart of North Vancouver’s Londsdale Avenue, with easy access to shopping and amenities like the North Vancouver City Library, this complex offers convenience and accessibility to its residents. 33 apartments for low-income seniors, including four wheelchair-accessible units for persons with disabilities. Close to public community amenities, public transit and shopping. Common room available for meetings.